Meet Saige Copeland – The American Girl Doll Of The Year 2013!! 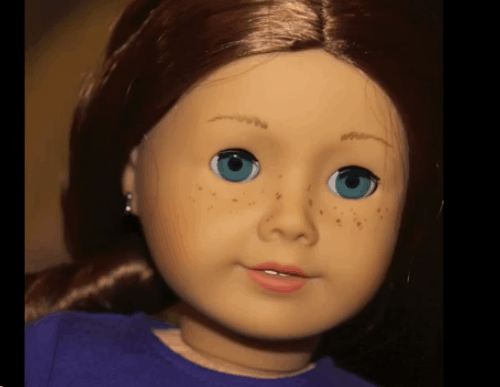 We were so excited to get a sneak peek at Saige – The 2013 American Girl Doll of the Year. Her full name is Saige Copeland!! I just adore her. I mean… my daughter just adores her. LOL We are HUGE American Girl doll fans in this household. So, this sneak peek was a real treat. Our American Girl sneak peek video starts off with my daughter giving a quick introduction to Saige. 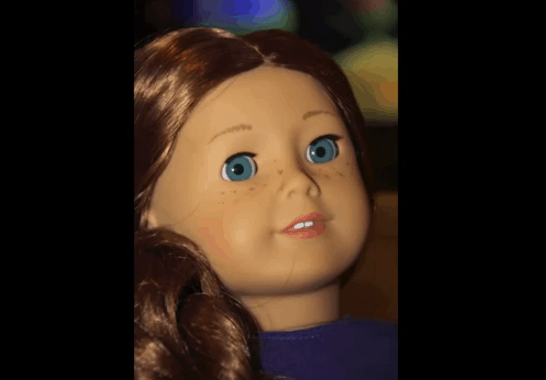 The rest of the video details what this beautiful doll looks like. Natalie adores Saige’s freckles, auburn hair and earrings! Her Southwest dress fits in perfectly with her back story. What an amazing addition to the American Girl Doll collection. Saige is due to hit stores January 1st, 2013. This beauty is from New Mexico and is in the 4th grade. We started to read about her history and it seems the main theme of her story has to do with fundraising and team work. Saige’s school is having some budget cuts and the American Girl doll teams up with friends to raise money to save programs like art. Are you an American Girl Doll fan? How did you guys get Saige? Well, sometimes if you have a very popular blog,you can ask them to send her to you. But I think you still have to pay. I actually don’t know if you have to pay or not, but probably. My 17 year old daughter is named Saige! Yippeee!!!!! Funny – as I read the story about her, she is very much like my Saige – loves to help others!!! Someone must have named this AG after my daughter – haha. I have been living in New Mexico for 15 years. I can’t wait to buy this AG doll and my daughter is 22 years old! I guess I am keeping Saige! Love love love that this beautiful place has an AG doll all it’s own. However..being culturally aware, blue eyes? omg how did you get her? She is so cute!!! !